Nothing that IGEL has accomplished in our 18 years can be solely attributed to the work of our staff, alumni and board of directors. 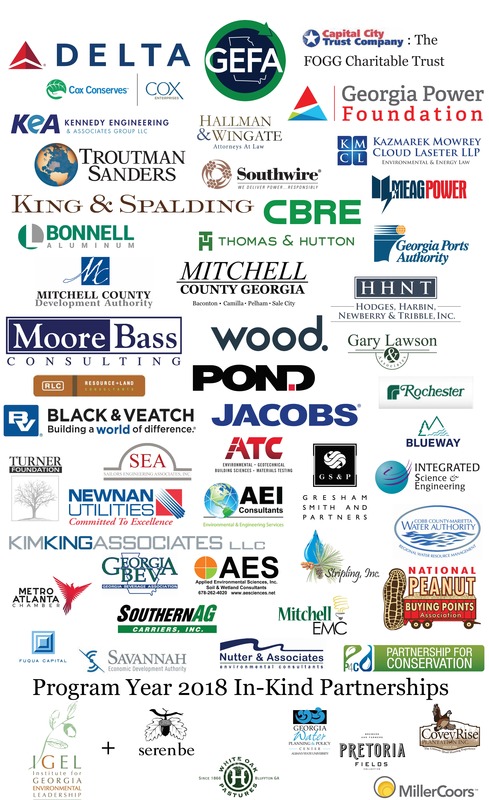 We pride ourselves on being an organization that collaborates with a diverse range of corporate & foundation partners with the goal of sustaining a diverse network of environmentally educated leaders in the state of Georgia. Click here to learn more about how your organization can become an IGEL Partner!